Sometimes the Stars: Can we talk about Red Ink for a sec? Can we talk about Red Ink for a sec? 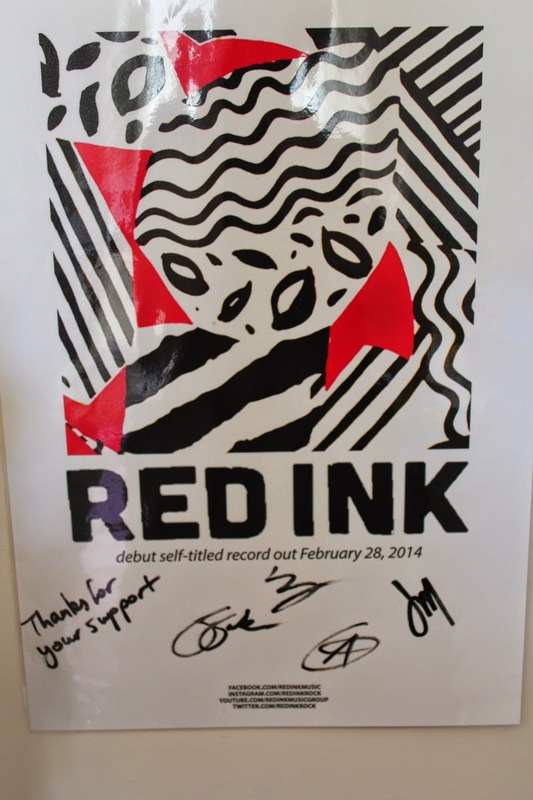 Red Ink, the indie pop/rock four piece from Melbourne, released their debut self-titled album in February this year. I have been listening to that album since then, but uni, work, and pretty much everything else has gotten in the way of me writing this post. However, this album has been the soundtrack to my long commute to uni, more times than I can count! I wanted to wait until I had time to do this properly, because these boys deserve it, and this album is really good. This album, to me, is the best of both worlds from their previous releases. Combining the synthy, more laid back vibes of 'The Colour Age - EP' and the 'Audrey - EP,' with the more punchy, in your face rock of the 'Catching a Killer - EP' and the 'What My Friends Say' single, in the best way possible. The album starts with the crackle of speakers, then kicks into the pulsing drums of 'Hourglass,' a perfect start to the album. The chorus is one that you will instantly find yourself singing along to, 'I Live In a Garden' is good in this respect too, it also has that pulsing drum, that gets you tapping straight away. 'Adolescent Minds' gets extra points for it's jackhammer use in the instrumental part, and for John's evil laugh. And while John's vocals are flawless throughout, 'Tunnel Vision' takes it to a new level. 'Ballerina' along with 'Going Insane' tick all the boxes for radio-worthiness, and 'Puzzle' has deceptively deep lyrical content. My favourite tracks on the album would have to be 'Going Insane' and 'Fireworks,' (although all of the songs are brilliant for their own reasons). 'Going Insane' is incredibly catchy and upbeat, lyrically it is brilliant. For example, "You move like you broke an ankle, you smile like a stuttering lamb, you dance like an open bar, and you dance away." 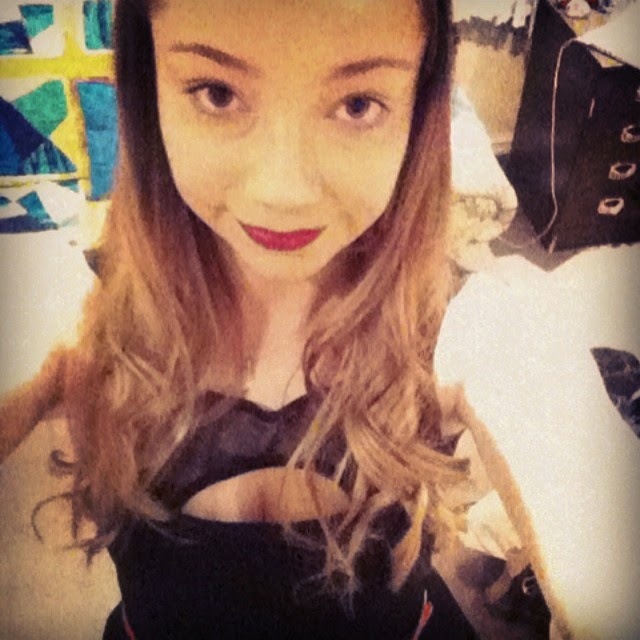 And honestly, you can't help but dance like that, the song is just infectious. 'Fireworks' has so many layers that keep building as the song progresses, and the subtle harmonies in the chorus really sold me on this one, (there's also a sneaky little extra track tacked onto the end of this song, which is a nice surprise). If you know me, you know I love a good harmony, and this album is full of subtle, yet effective harmonies, that I have tried far too many times to master during my car sing-a-longs. The only problem I have with the whole album is with the song 'Hard To Leave.' While the instrumentation is lovely, and the chorus is really catchy, the vocals in the verses are really hard to make out, because they get drowned out. But all-in-all this album is hard to fault. The vibe of the album is kind of lo-fi, but done in a really nice way. The lyrical content is lovely, thought provoking, (and interestingly inspired by books John found whilst strolling Berlin). The actual instrumentation is innovative and interesting, and makes you want more and more, like a book you can't put down. And for those of us who were lucky enough to support it through the crowd funding campaign, we got some pretty cool extra stuff too! (Like the lovely handwritten lyrics you see on this page). So if you want to check out Red Ink (and their album), you can do so from the links below.